“I was at a very dark place in my life, I became a pessimist and lost every hope. I was just existing and never living...” These are the words of Belinda Van Derg, a young South African. Now she has become a Tzu Chi youth volunteer and found the meaning of life in its charity work and great love. With her bright and clear eyes, she shares what she has experienced and learnt. “Walk the right path” is a Jing Si Aphorism of Master Cheng Yen. As simple as it sounds, walking the right path is no easy task. Often we find ourselves in places that are far from right. We put ourselves in dark situations. Mentally, we ponder the reasons for our existence, we are proud or prejudiced and ignorant of the truth. Truth, what truth? Whether you lead a perfect life or have a flawless reputation, you always reach a point in your life where you feel lost and confused and almost every aspect of your life stands on a shaky foundation. These events lead to this point of chaos within. It could have been the result of a tragic loss or an event that forced you to re-evaluate your life. I guess that, in moments like this, people become existentialists and many move into a sort of limbo. People choose to do the norm, chase power and wealth and, in the process of this search for stability, they forget the world and humanity. They lose their way. So what does it mean to “walk the right path”? Very few people are lucky enough to have positive people in their lives, people with true humanity and love, people like the volunteers of the Tzu Chi Foundation. As young people, we have so much to learn from these walking angels, these simple, beautiful and selfless people who dedicate themselves to uplifting the lives and healing the hearts of humanity. The Zulu volunteers live in the very same impoverished conditions as the people in the rural communities of Durban and survive with the same basics -- yet they are joyful, compassionate and spread the seeds of love all around them. They teach and share their painful stories with their communities, hoping to change the hearts of the people who are lost, alone and often in a dark place. People have to face many social and economic hardships. Many I have met spoke of their suffering; they live in houses made of tin, with roofs held down by tires and other materials, and feel the sting of winter with no electricity and no warm meals -- just the pain and iciness of winter. They all walk many kilometers to the first Tzu Chi centre in Ntabankulu, Durban to receive winter warmth from the Tzu Chi family of volunteers. The centre is a sanctuary for many; it is a simple house painted white and blue, a tranquil place of hope for many living in the rural areas. Here people – most of them orphans -- can go to receive and give love. The local volunteers prepare meals to keep the children warm; people go to the centre to watch presentations on Tzu Chi and listen to the teachings of Dharma Master Cheng Yen on life, love and compassion. They develop their knowledge and find peace within their hearts. It is a place that brings joy and love to all. The young members of Tzu Chi could have spent their Sunday at the mall or with friends -- but instead they chose to rise early, put on the blue and white Tzu Chi uniform and head out to volunteer for the winter warmth distribution. They have such kind hearts and are willing to give their time to do good and make a difference, no matter how small that difference is: whether it was folding, stacking and counting the blankets to make sure there was enough for everyone or counting and carrying bags of rice that weighed 10 kg each. Everyone worked enthusiastically and ignored the aching pain in their bodies. Instead, they laughed it off and shared jokes. Many said it was like going to the gym but better than any workout; they smiled as they worked. They knew deep down that love is selfless. At Ntabankulu, the volunteers played games with the children. Everyone sang in unison, songs of praise in Zulu, and singing “One Family” in Chinese; they clapped, laughed and celebrated the love shared between people. For me, witnessing the strength of love was one of my most beautiful and heart-warming experiences. Hearing everyone singing the South African national anthem reminded me of the power of love and unity; our country is the perfect example of transformation and the anthem represented that love, the love for all by all. Children looking at you with their innocent eyes rejoiced in love and praise; they were sharing this moment with us all. We were not divided by politics or fear, pride or pain, but instead were connected to each other through understanding. I always believed that hope was fragile, but I learnt that hope and love are the most precious gift you could ever give anyone; it is priceless. While the children were playing outside, the adults of the communities were listening to presentations by the local youth volunteers and recipients of Tzu Chi scholarships. The elder men and women in the packed room listened intently to the lessons of Joyce, Sbu and Brian. Brian spoke of the importance of conserving energy, environmental protection and vegetarianism; the audience was absorbed as they listened and learnt. The equipment was simple, the screen was blocked by the sunlight, communication was not easy, but everyone helped one another; people sat close together, on each other’s lap, in order to hear the lesson. People translated from Zulu to English to Chinese and then back to English; everyone was smiling and understanding one another. They did not need the screen because people were able to communicate and share their thoughts with one another. The common language was love. Queen Ngobese commented on Barry’s lesson: she was touched by what she heard about leading a healthy lifestyle. Queen spoke of being a simple person, appreciating the little things in life and being grateful to Tzu Chi for all the effort put into the winter warmth distribution. She is an orphan; her mother passed away last year due to natural causes, while her father died in 2006. She is the eldest in her household and looks after her younger sister whom she adores; she sings as a hobby. She walked a long way from her home to receive the blankets and rice from Tzu Chi; the presentations helped her to understand the reasons behind the foundation and she was deeply touched by all the love. She did not feel ashamed because she knew love was being given to her and she was more than willing to share it with others. Akhona Shange is one of the scholarship recipients. She heard of Tzu Chi from her aunt Brenda, who is a Tzu Chi volunteer. She matriculated in 2005 and saw little hope for her future; she had completed high school but was unable to receive further education because she could not afford the fees. Due to the lack of funds, she could not achieve her dreams. Instead, she spent her time doing odd jobs, working and earning a little for her home; she washed cars to earn whatever money she could. After being introduced to Tzu Chi by her aunt. she wanted to become a volunteer; she believed that she could help others and wanted to share her love with her community. Since her application for a Tzu Chi scholarship was approved, her dreams have become reality; she is a college student. 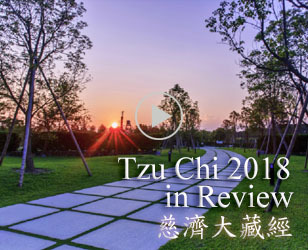 I was touched when I heard her story because she looked happy; she was thankful to Tzu Chi and is now able to look at life in a positive light. 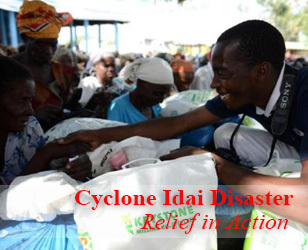 After the presentation, we gave our fellow men and women rice and blankets; we wanted to spread the seeds of love, by spreading warmth during this cold period. Most important were not the material goods but the gift from the heart, all the compassion and understanding of that which is intangible and priceless. After Ntabankulu, we said our goodbyes and headed towards Folweni. We all crammed onto the back of the vehicles; it was a cold day, the wind was icy but nothing dampened our spirits. We manoeuvred the bumpy dirt roads, laughing, talking and bonding and creating everlasting friendships. Discovering more about our fellow Tzu Chi members was a great blessing. I felt like I belonged here, that this was my calling. Folweni was different to Ntabankulu. I guess it was because I did not see a Tzu Chi Centre there and immediately thought of how many people we could help, if we built more of them. I had a vision of Tzu Chi a few years from now – it would be a moving force of love all over South Africa. It would have centers in cities and rural communities and tackle issues from poverty to crime, unemployment to education and medical care; it would bring hope to many more people, spreading seeds of love and unity and would implement the missions of charity, medicine, culture and education to every corner of Africa. It would achieve miracles. In Folweni, the people were welcoming and rejoiced at our arrival. I felt blessed to be a visitor in their homes and was looking forward to meeting more people in Mpusheni. Mpusheni was no different; people were happy and, while I was there, I took a moment to recap on the day. I knew that this was the last area we would visit; I actually did not want to leave, the people were so happy to see us. I have been a volunteer in Tzu Chi for many years, but every time I volunteer and go somewhere new or old, it feels like the first time. I learn something every moment. I feel that being a part of this foundation is more than just doing something positive with my life. For me, Tzu Chi is more than charity and bigger that humanity. I feel that Tzu Chi is a great culture, a great identity: it is so much a part of my life and Tzu Chi is the centre of my heart. It took me a long time to realize this, because I believed that, in life, you have to find yourself. Now I believe that you create yourself. You reach a point in Tzu Chi where it is not you keeping yourself together or on the ground, but it is the people around you. You create a place where anything you do is enough, regardless of how small it is. You begin to believe in yourself, you believe in others, but most of all you believe. 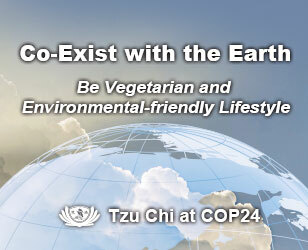 Tzu Chi is all things positive, not perfect but good. I was at a very dark place in my life, I became a pessimist and had no motivation. I was just existing and not living; life was a constant battle, a burden that I wanted to relieve myself of. Being in Tzu Chi has allowed me to search, express and discover life; most of all, it is now helping me to create the person I want to be. I am around people who see me but not my pain. At times I cannot communicate or express how I feel, but all the volunteers have their own battles. I am inspired by their strength; I am inspired by each volunteer regardless of age or background. I am a learner and, in Tzu Chi, I do not look at myself in a negative light; instead, I look around and see the beauty that surrounds me.